You can’t go wrong with this classic softball trophy. Our Figure Trophy Series - Softball trophy measures at 8.75” including the soft. This simple trophy can be customized by selecting from over 10 different Softball Figures to be featured on the trophy. With the Softball figure as the main focus, you can really create an impactful award. 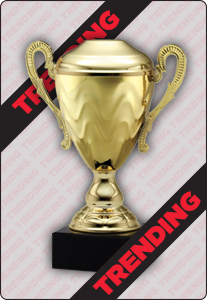 Customize each award with the engraving featured on the front of the award.